When you arrange to meet an immigration attorney with free consultation it’s important that you make the best use of that free consultation. That’s why today we’re covering a few questions that you should ask to get the most information during your first free attorney visit. 1. Are You a Member of the AILA or the American Immigration Lawyers Association? The AILA is a professional organization for attorneys who practice immigration law and membership in this organization reflects a dedication to the field of immigration law. If your potential attorney is a member of the AILA it’s a good sign that they are a dedicated attorney and can possibly help you with your case. 2. How Much Experience Do You Have With Immigration Law and Cases Like Mine? The more experience your attorney has, the more they “know the ropes” and the more likely it is that they will have experienced a case like yours. This isn’t always the case, but it generally does bode well for your case if your attorney has plenty of experience with clients like you facing problems like yours. 3. Will You Be Overseeing My Case Through Its Entirety? Some attorneys handle a large portion of cases themselves and others pass cases to their paralegals to work because they are too busy and have taken on too many cases. You want to find an attorney who is somewhere in the middle of that range. No attorney is going to be able to work every minute of your case alone, but you also don’t want an attorney who is going to leave your case in the hands of paralegals and not think to check on it after that. 4. How Do You Think You Can Help Me? What would this attorney recommend as a solution for your case? What do they feel is the likelihood of success by taking this approach? What will you need to do if you take this approach with your case? You want to know what to expect from the life of your case and you need to know what you are going to have to do. 5. Is Immigration Law Your Primary Field of Practice? Some attorneys practice in multiple legal disciplines, find out what fields your potential attorney practices in. You don’t have to hire an attorney who only practices immigration law, but you should hire an attorney whose primary field of practice is immigration law. 6. What Types of Immigration Cases Do You Handle Mostly? It’s nice to know that the attorney you hire regularly deals with cases like yours. Don’t panic if your immigration attorney with free consultation handles other types of cases more often it doesn’t mean that they will fail you, but it is a good reason for pause. 7. Do You Have Anyone Who Speaks My Language Or Can You Provide a Translator? If you don’t speak English or you don’t speak English well, you will need someone who speaks your native language. Find out if your attorney has someone on staff who speaks your language or if they have a translator they can provide. If they do not, can they recommend one to you? 8. What Are Your Fees? You need to know what to expect financially after the initial meeting with your immigration attorney with free consultation services. Do they charge flat rate fees or an hourly fee? Do they require a retainer? You have to know what kind of financial commitment you are signing up for because the last thing you want to do is run out of money before your attorney has won completed your case. 9. How Long Do You Expect My Case to Take? You need to know what to expect from your case and that includes how long it’s going to take. This is particularly important if you are paying an attorney at an hourly rate. Of course, your attorney can only estimate a timeline based on their previous experience and they can’t give you an exact timeframe, but they should be able to give you an approximation to help you better prepare. 10. How Busy is Your Firm at the Moment? If your attorney is very busy at the moment or their firm has a very heavy caseload, you need to know that they will still have time to tackle your case. Law firms often have a large number of paralegals and associates on board who can help to work cases under the supervision of your attorney so a busy law firm doesn’t always mean that your immigration attorney with free consultation services won’t be able to help you with your case. But use your judgment, for example, if your attorney says that they have time to take your case but they are so busy that they can’t even go through your consultation uninterrupted, it’s a good idea to look for another attorney. Are You Looking For an Immigration Attorney With Free Consultation Services? 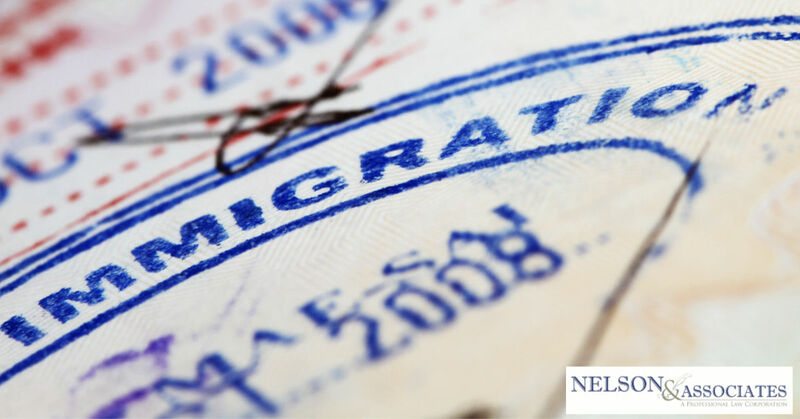 If you’re in the Pasadena area and are looking for an immigration attorney with free consultation services, Nelson and Associates can help! To make an appointment for your free consultation just call 626-683-3451 or submit a message through our online contact form here. Next PostImmigration Attorney San Jose: Is Your Attorney Reputable?